The 17th ITA Awards (Indian Television Academy Awards) 2017 was held in Mumbai on November 5, Sunday. Most of the Television stars were presented at the event and was a grand star-studded event. The 2017 ITA Awards was hosted by Manish Paul and Ali Asgar. The event was started with a beautiful red carpet show. Sriti Jha, Mouni Roy, Arjun Bijlani, Adaa Khan has presented some fantastic performances at the show. Indian Television Academy Awards first took place in the year 2001. 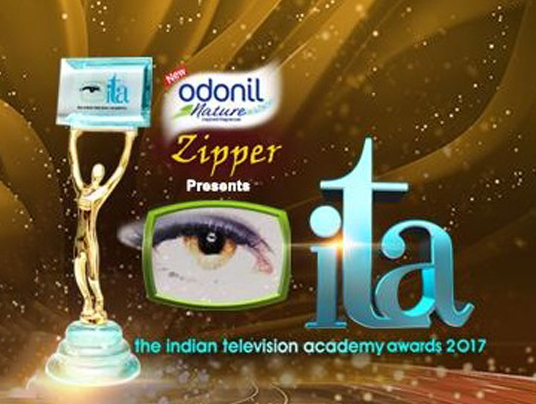 The ITA Awards is an annual award event which is presented to honour the excellence in Indian television. Most of the winners have shared their happiness by sharing their photos with trophy through social media like facebook and twitter. The best actress drama award was won by Jennifer Winget (Maya in Beyhadh). Nakuul Mehta & Vivian DSena are the winners of Best Actor Popular Award. Popular anchor and host Manish Paul has won the Most Entertaining Personality On TV Award. Ishaqbaaaz has declared as the winner of best show award. Textiles and Information & Broadcasting Minister Smriti Irani was the special guest of the event. The ITA Awards 2017 will be aired on Colors TV on 26th November 2017 (Sunday) at 2 PM and 5 PM. The promo videos of the ITA awards 2017 have already released on the TV and social media. The fans are eagerly waiting to watch the awards now. Check out the winner’s list and more quick details of the show below.